Considering to hire a Tree Surgeon in Malden Rushett? GraftinGardeners is a family run tree surgery company and covers all aspects of tree surgery. We have tree surgeons in KT9, London and surrounding areas, committed to providing customers with high standards of work. If you require any tree services, we can help, and were only a phone call away. Don’t risk dodgy tradesmen ruining your trees, get a free quote from one of our tree specialists today. 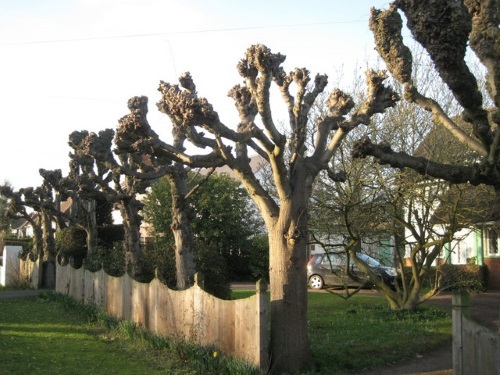 GraftinGardeners have trusted tree surgeons operating in Malden Rushett and surrounding areas. We are reliable and hardworking and have unmatched experience when it comes to tree care. Our teams can carry out any type of tree work, from pruning to felling and stump removal, we do it all! If you require tree surgery in KT9, call us right away. We will send out a tree specialist to visit you property and supply you with an on-site quotation, free of charge. Are you concerned about a weak or potentially dangerous tree in your garden or on your property? Would you like it felled and removed to create more space? Whatever your requirements our tree surgeons can assist you. We are highly skilled and have all the latest cutting equipment to ensure your trees are taken down properly. All removal operations (whether sectional or straight felling), are safely carried out, in a well-controlled manner, by following UK safety standards. Call us now to get your free tree removal quote. DIY tree pruning is generally not a good idea, even for the seasoned pro gardener. There are many factors that need to be taken into consideration such as character, age, size, species and location, and is best left to the professionals. Our tree surgeons use these factors as a guide and are experts at trimming trees. We can prune, cut, trim and shape any trees and always follow the guidelines set out in the (BS 3998). We guarantee to get a perfect result every time, ensuing your trees remain in a healthy condition. 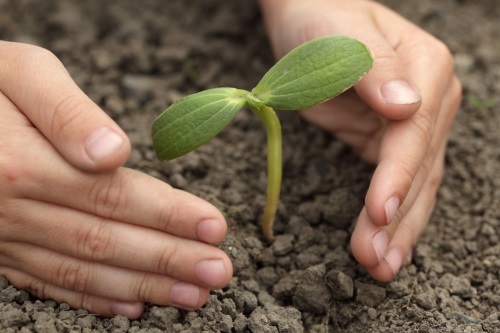 With GraftinGardeners, your trees are always in safe hands. Removing tree stumps is hard work and requires specialist equipment to carry out properly. The majority of conventional hand tools are simply not enough to successfully remove larger stumps and require a stump grinder. Our tree surgeons are equipped with both hand tools and stump grinders and can remove any stubborn stump, even in restricted spaces. We will grind out your old stump, fill the hole in and always leave you with a level surface and clean site. When trees fall on your property, they tend to cause lots of damage and can be hard work clearing up. You need a strong team with the right equipment and experience to safely remove them. We have cleared many fallen trees from roads and homes across London and know exactly how to deal with these types of situations. Our tree surgeons will come and remove any fallen trees on your premises and won’t leave until the area is safe and secure. Our emergency tree service runs 24 hours a day, 365 days a year, and deals with all types of tree emergencies. Ivy can be a magnificent feature to your home when it’s trained and maintained correctly. However, untrained ivy can actually cause problems for your home and its structure in numerous ways. For instance: exposed brickwork and joints can be compromised, guttering can break, woodwork can rot, paint can peel off, and in worst cases roof tiles can even lift up. Our company provides a practical solution for all your ivy and climber maintenance needs and can train your ivy away from a big repair bill. If you need it removed, our arborists can do that to. We remove ivy from the roots and spread herbicides on the affected area to stop it growing back. GraftinGardeners have planted trees all over London and have a great understanding of tree cultivation and maintenance. If you need to plant or relocate a tree in your garden we can help. Our arborists can guide you through the whole process, from the sourcing of great specimens, to guides on optimal plant sites and even offer advice on tree aftercare. Contact us today to find out more about this service. Hedge trimming takes years of practice and experience to perfect and is best left to a professional hedge trimmer. Our arborists have trimmed thousands of hedges over the years and can cut, trim and shape any type of shrubbery, from small box hedges all the way to large conifers. Nothing is too small or big for our teams and we guarantee perfect results. Book you free quote now by calling the number above. Pollarding is a term used to describe a form of pruning in tree surgery. It is where all limbs and branches are cut back, promoting new growth and dense foliage. It is commonly used on species such as willow and poplar and as it can greatly extend the life span of a tree. Contact us today to find out more or to book a quote with one of our tree surgeons.